We already sensed it, but now it’s official: last year, the city of Rotterdam has attracted 7 percent more visitors than the year before. The number of city guests rose to more than 17 million. Rotterdam attractions welcomed 3 million visitors, the number of museum guests grew by 11.3% and annual events saw the number of visitors increase by nearly 5 percent to more than 3.9 million. This also resulted in a new record of 1.5 million overnight stays in 2014. 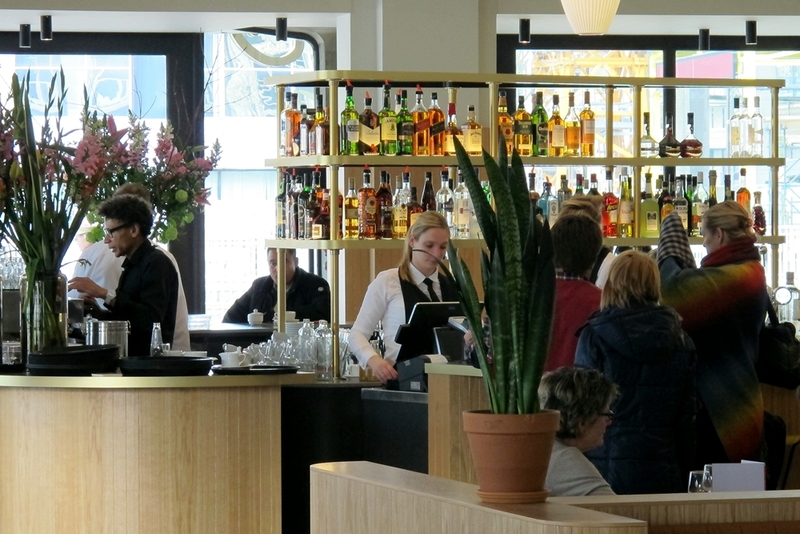 These hotel figures show a large majority of Dutch visitors (48.5%), followed by people from the UK, Germany and Belgium. Beside those tourists from neighboring countries, we also meet people from farther away; both within and outside Europe. In a previous blog ‘Cosmopolitan by nature’ we wrote about the growing number of languages ​​we hear around us, every day. In 2014, Rotterdam was internationally frequently in the news, thanks to architectural highlights as the Market Hall and the Central Station. Our hometown was also in many top ten lists, and the city was celebrated in renowned magazines as a city you definitely have to visit. According to Rough Guide, Rotterdam was the no.8 ‘must see city’ last year. Together with cities like Rio de Janeiro, Sarajevo, Liverpool, Umeå, Lviv, Almaty, Marseille, Glasgow and Portland we are in the top 10 of attractive cities. 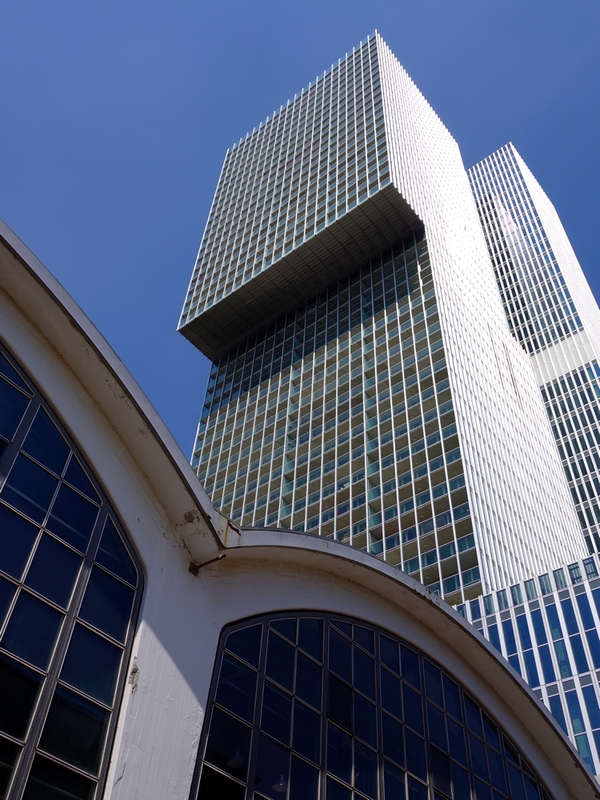 Rough Guide praised Rotterdam for its exciting projects like the cavernous tube-shaped Market Hall with its food stalls and the ‘vertical city’ called De Rotterdam. 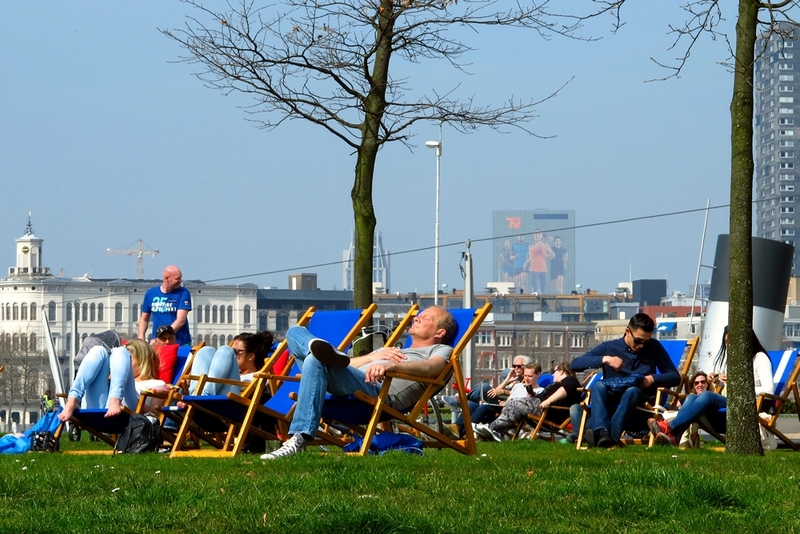 Even the New York Times reviewed Rotterdam as a top 10 city, in the list of ’52 Places to Go’ in 2014. No doubt, part of the positive vibe is the presence of around forty investors who decided to settle, or expand their businesses in the Rotterdam region. Rotterdam The Hague Airport also experienced a positive growth. Last year, the number of incoming passengers grew by 9.4 percent to more than 818,000. This positive vibe is mainly due to a strong leisure sector, which is very important for Rotterdam. Particularly this sector contributes to an attractive town and a good environment to live in. And that’s important to attract not only visitors, but also businesses, workers, residents and students. While writing this blog smiles appear on our faces. We really feel proud and privileged. And without being presumptuous, why schouldn’t we?